Splat loves his friend Seymour, and decides he wants to show it through an amazing surprise party. But with all the planning and preparations—and secrets—Seymour is left confused and wondering what happened to his friend! Will all the silliness split this pair apart or bring them closer than ever? 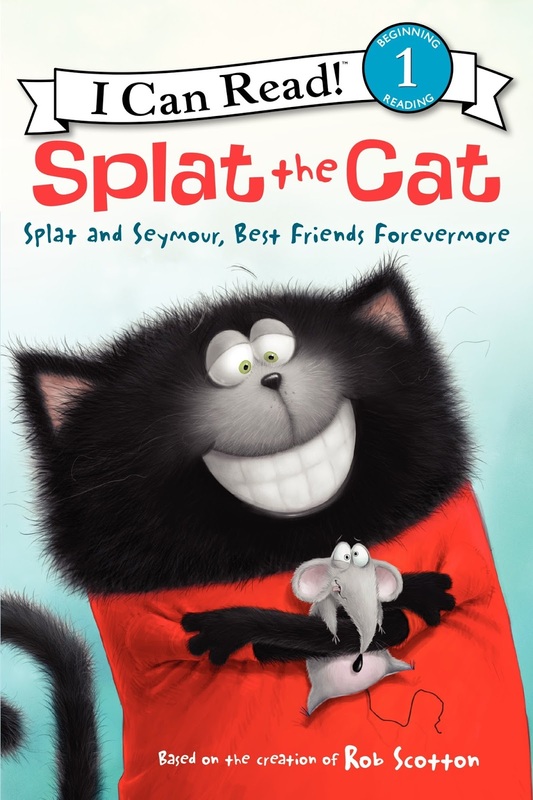 The Splat the Cat beginning readers are awesome: each book focuses on a specific element of speech, a phonetic. In this case, it's words that sound out -ore. So not only are kids reading a great story, but they're building their vocabulary and phonetic skills. There's cohesion to the story and it really grabs the reader's attention. I recommend this series. As for readalikes, this book is just like the Fancy Nancy book I read a while back, and, of course, any story on friendship makes me think of Elephant & Piggie.